Home / Posts tagged "launchtn"
A screenshot from Corvus Technology’s promotional video, which created a way to track first responders. The goal of the Tullahoma accelerator is to ready startups like it for investors. Middle Tennessee is already home to business accelerators for startups in health care technology and music technology. For the next two months, an accelerator in Tullahoma will work with a dozen new companies that are creating technology for law enforcement, prisons and public safety. One company in JusticeXL, as the accelerator is called, is working on storage for police videos. 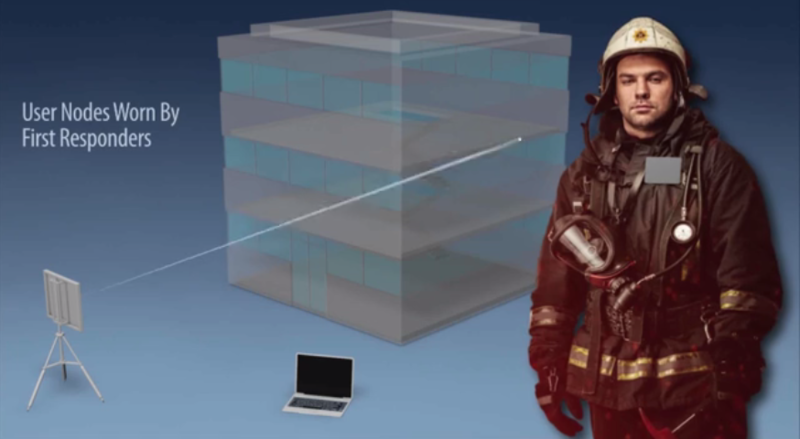 Another has a device that tracks first responders who run into smoky buildings where it might be hard to find them. A startup from Tel Aviv, Israel, is creating technology to prevent drones from dropping contraband into prisons. Dan Marcum oversees the Southern Middle Tennessee Entrepreneur Center, which launched its first JusticeXL cohort earlier this month. He says there’s certainly demand for new technology in these fields, but end users can be slow to implement it. “If a police officer or a sheriff wants to employ new technology, he’s got to go get the funding for that, and the funding cycle takes a while,” Marcum says. JusticeXL is putting its startups through a business boot camp and pairing them with mentors. The accelerator’s goal is to help them attract investors. The Southern Middle Tennessee Entrepreneur Center is one of nine regional business accelerators in the state that have gotten funding from Startup Tennessee, a public-private grant rolled out in 2011. On Tuesday, Southern Middle Tennessee Entrepreneur Centers (SMTEC) launched JusticeXL, a 12-week business accelerator cohort with a focus on three components of the justice system: law enforcement, public safety and corrections. SMTEC Executive Director Dan Marcum opened the program by saying, “We don’t have to be in a metropolitan area to do economic development, particularly entrepreneurial economic development.